How the sun sees YOU!! Home » News » How the sun sees YOU!! WOW, if you have any doubt in why you should wear sunblock please watch this YouTube video it has had over 13,324,822 hits. Book for your FREE consultation to discuss options on reducing photo damage/sun damage. Sunscreen is a product that you put on your skin to protect it from the sun’s UV rays. But it’s important to know that sunscreen is just a filter – it does not block all UV rays. Sunscreen should not be used as a way to prolong your time in the sun. Even with proper sunscreen use, some rays get through, which is why using other forms of sun protection is also important. Anti-Oxidants are found in many fruits and vegetables, which we all know are good for you. They will also protect your skin from harmful rays. The compounds help fight free radicals, a nasty set of atoms or molecules that contribute to annoying problems like premature aging and can be a product of unprotected sun exposure. 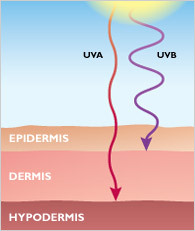 FACT: U p to 90% of the visible skin changes commonly attributed to aging are caused by the sun. UVA rays penetrate into the dermis which is the deeper layers of the skin, the dermis contains your collagen and elastin of which deplete when damaged. MYTH: You can’t get sun damage on a cloudy day. UVA and B rays are around all year, meaning the sun can still damage your skin in the winter. Using sunscreen and consuming anti – oxidants are just one way to keep your skin looking young and vibrant. 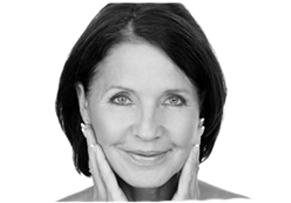 At Changes Clinic, Portsmouth we provide FREE of charge consultations whereby you will receive personalised advice on skin care and treatments such as anti – wrinkle injections, dermal fillers and skin peels suitable for all skin types to maintain and prolong healthy, rejuvenated, fresh skin.